We received an email request for a borescope inspection to be carried out. 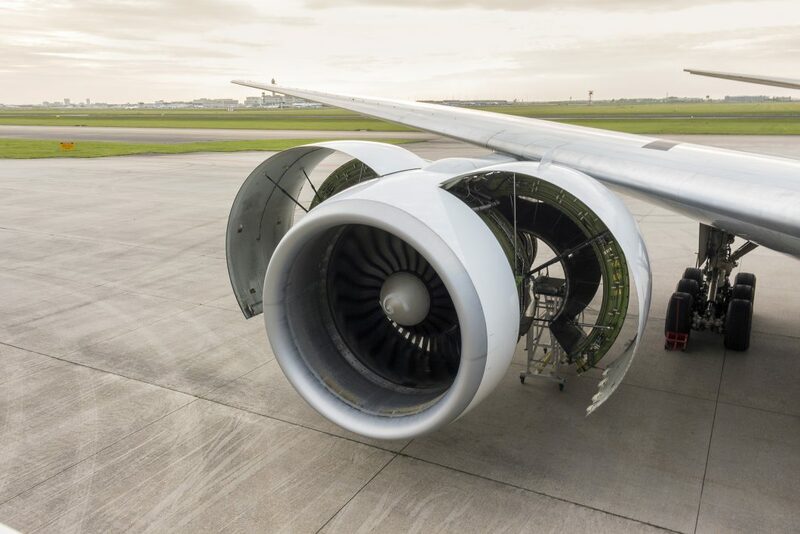 The aircraft had been flown into a maintenance facility and both engines required a routine hot section (High Pressure Turbine and Combustion Chamber) borescope inspection. After all arrangements were in place, we made sure we had the correct tooling for the inspection and set off. The correct tooling in this case would consist of a method for turning the High Speed Gearbox, which in turn, rotates the High pressure shaft and high pressure Turbine assembly. To gain the access into the Combustion chamber on this particular engine type, required the use of a flexible guide tube. Once we had arrived on site, we were faced with the usual wait for security clearance to enter the air side maintenance facility. After a short wait we gained access to the maintenance hangar and had a good look around the outside of the engine case. This often will reveal any signs of heat distress, particularly around the combustion chamber. On this occasion no external distress was found. Having been aware of our impending arrival, the on site maintenance provider had already opened up the engine borescope ports ready for our Internal Inspection. Both engines were to be inspected during the same maintenance input. Both Engines had less than 5000 flight hours from new and a low engine cycle count. Whilst looking at Combustion chamber on the First engine we noted that the High pressure Nozzle guide vanes had some material loss on the leading edge, further investigations revealed cracks across many of the vanes. The state of the art borescope inspection equipment that we now widely use, has the capability of measurement, video and still JPEG image recording and was therefore put to good use in documenting the findings in order to assess the damage limitations. After concluding the rest of the required engine module inspections on the first engine, we then set about a detailed internal inspection of the second engine. Unusually, this second engine had similar cracking to the same part of the engine. The High pressure Nozzle Guide vanes were indeed in worse condition than the first engine. Again accurate measurements were taken and images were taken for inclusion in the decision making process and subsequent reports. Once we had finished the second engine, we then set about interpreting the findings in relation to the prescribed limits set out in the aircraft maintenance manual (AMM). The AMM is the benchmark by which any airworthiness decision is made. Having consulted this manual, which is no easy read(! ), the decision had to be made that both engines were out of limits and needed to be rejected on the grounds of safety. The accurate measurements had revealed that the damage to both engines was extensive and would require replacement, as you can imagine these decisions are not taken lightly as the cost of replacements or repairs to the original engines run into millions of $ (Dollars). 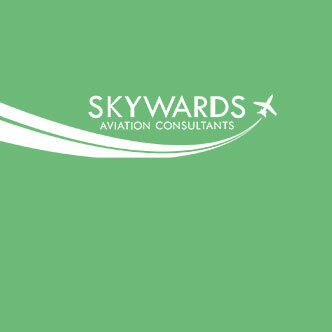 As with all good maintenance Companies, we at Skywards never compromise on Safety and once a decision is made we will not be swayed into making a commercial decision that would endanger the lives of the passengers or the safe operation of the Aircraft. As most commercial, private and business aircraft owners and operators like to get a second opinion from the engine manufacturer, our detailed reports, detailed photo (JPEG) images and recommendations were sent to the OEM ( Original Engine Manufacturers) for their input. The manufacturers are the only ones who can give an extension to the limits that we must abide by. In the case of both these engines the manufacturer decided that both engines indeed were unserviceable with no extension possible. As part of our borescope service, it is normal if the engine is within AMM limits to issue an EASA Form 1 to declare that the engine is fit for release to service. If the engine is not within limits the engine then receives a rejection report as described in the above text. As you may imagine, the paperwork involved after the inspection such as the detailed report, the EASA Form 1 or rejection report and the compilation of the full inspection onto DVD is a time consuming but necessary part of the process that we carry out on every inspection. All inspections are different, some with minor findings, some with no findings at all and some with major damage and findings, but all are carried out by professionals, who know the internal workings of a gas turbine engine and are experienced in making sensible and overall safe decisions.